Being able to predict what you are going to type out next can be an incredibly convenient feature for any product or service. It’s the sole reason why I have stuck with SwiftKey as my 3rd-party keyboard of choice since the Nexus 5 days. 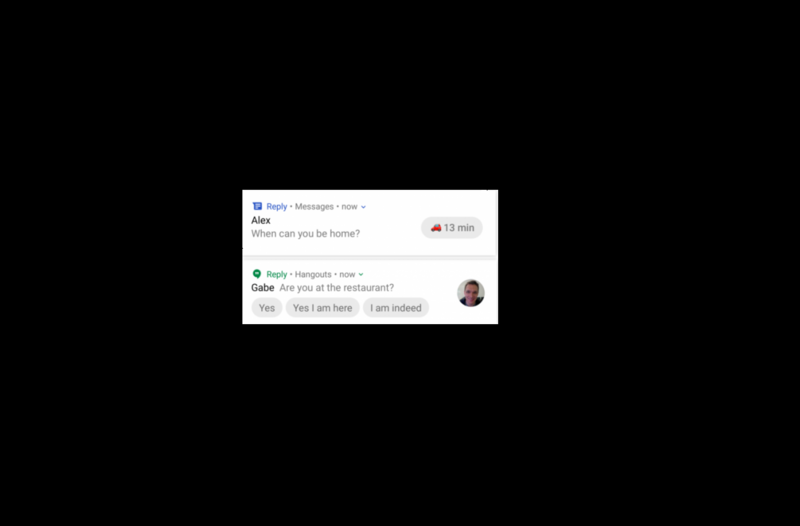 Google’s machine learning technology is getting good at predicting a variety of things you may want to say in response and that was the goal of a project they began experimenting with earlier this year called Reply. This feature was able to hook itself into other 3rd-party applications such as Hangouts, Allo, WhatsApp, Facebook Messenger, Android Messages, Skype, Twitter DMs, and Slack, but an email being sent out right now says that Area 120 is ending this experiment for 3rd-party applications. For those unaware, Area 120 is an incubator of sorts that combines the spirit of the company’s 20% policy where their employees get to spend 20% of their time on experimental projects. The goal of Area 120 was a way to incentivize Google employees from leaving the company and creating startups since it was a trend they had begun to see. This new program allowed these employees to stay under the Google umbrella, have a bit more security when it comes to startup ideas their employees had, and also have a fair bit of Google’s resources at their fingertips. 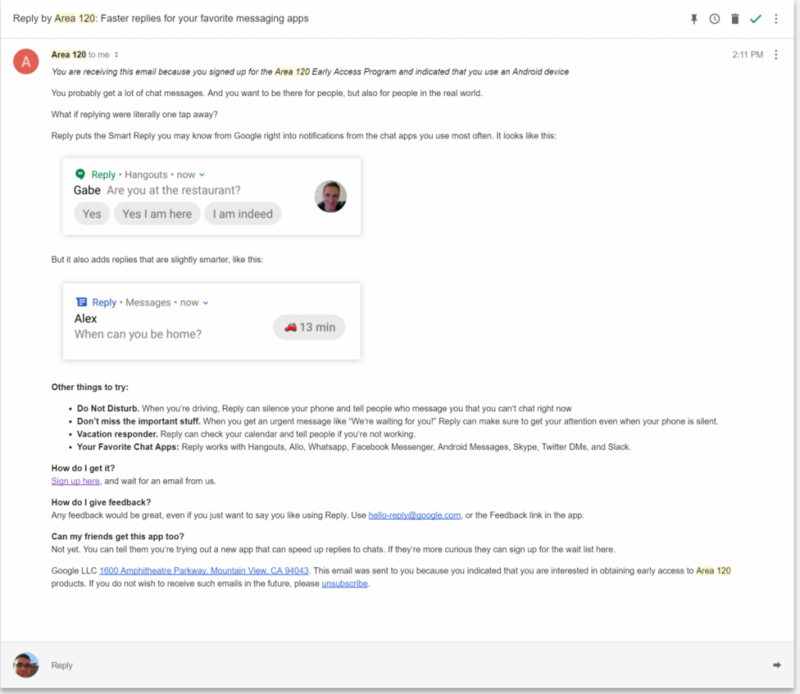 The feature stemmed from Smart Reply, which was first brought to Android Messages (for Project Fi users only) and then made a big splash in the Inbox by Gmail application. However, the idea of this feature grew and some folks within Area 120 wanted to use it for the 3rd-party applications that I mentioned earlier. The application was simply named Reply and users had to request to be part of the experiment. Those who were chosen were lucky enough to use the feature in the pre-determined 3rd-party apps, but now that experiment is ending. An email has been sent to those who were selected and these people are being told that the experiment has now ended. Although, they are told that “it might still work for the next few months” but you could encounter bugs or see suggestions that simply aren’t good at all. The team has been working with Google to bring those ideas behind Reply to other Google services. So while the experiment with 3rd-party applications may be ending, it will live in various Google products.